My name is Allan. My first jobs were in gourmet restaurants; waiting tables, wine steward, restaurant manager, etc. This led to territory sales positions representing manufacturers. During my 25 years as a sales rep with all these great brands, I’d always wanted to create my own brand. Pickled foods were something I loved and was familiar with so in July of 2012, with my daughter Hannah, started Olivers Gourmet. Thanks to thousands of folks who visit our booths at farmers markets, festivals and bazaars in the Pacific Northwest, we’ve grown into a presence in retail stores and online. 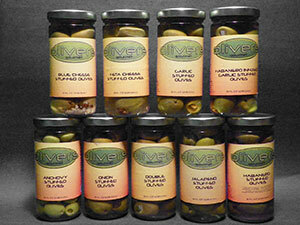 We specialize in pickled garlic and olives utilizing a “cold packed” method of creating a crisper, healthier food. 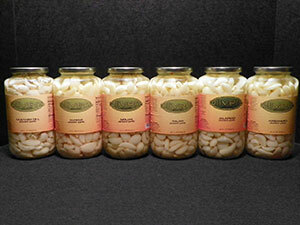 All seven types of pickled garlic, for instance, maintain the medicinal benefits of raw garlic which are famous for preventing illness, lowering blood pressure, keeping the mosquitoes (and vampires) away and much more. Our line has expanded to include pickled green beans, asparagus and okra, as well as the best Bloody Mary Mix you’ll ever taste. 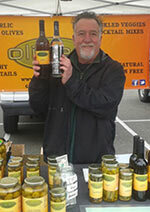 Most everything is sourced locally from the Pacific Northwest or California. 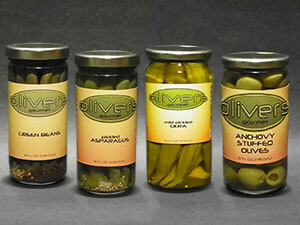 The rest includes Anchovy Stuffed olives imported from Spain and the Mild and Spicy Okra that we get from Arkansas. We welcome your input as we add new items! Pickled Sliced Jalapenos are now available. Margarita Mix is coming! 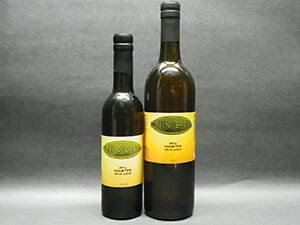 We continue to grow in Camas, WA as a local, family business that strives to offer our customers a tasty, healthy product, as often as possible in fun, public venues such as festivals and markets. My son, Nick, has been added to the team and works many of our festivals. You can also find us in local retailers or right here on our site. Thanks so much for your visit!